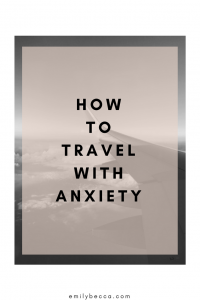 Whether it be across the world or across the road, travelling with anxiety is such a tough hurdle to jump. And it comes in all shapes and sizes, but however big or small, it’s hard to deal with. But sadly, going places is unavoidable, and also you shouldn’t feel like you can’t go somewhere or travel. I get a lot of anxiety before travelling, even to speak to a bus driver I have to play it out in my head 50 times. And if something is to go wrong I go in complete panic mode, especially when abroad. But I’m getting there, I’m getting there. But going places is unavoidable, and also you shouldn’t feel like you can’t go somewhere or travel. 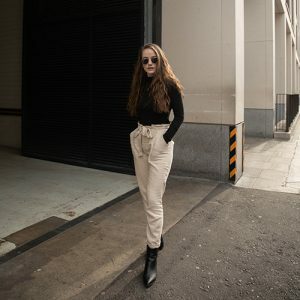 So here are my tips to make things a little easier and make that one or two steps forward to battling the anxiety. 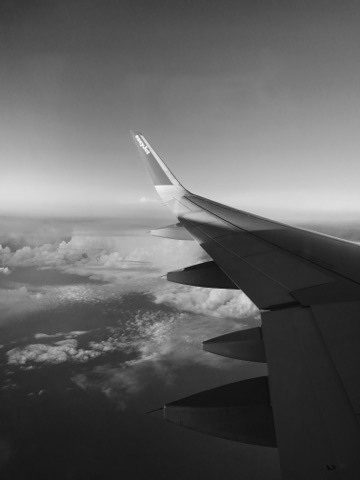 If you need to check into your flight, check in online and avoid the queues. I always check-in online. Pretty much as soon as it becomes available (you can usually do it 24 hours before). It just means I can go on through and get ready for the flight rather than going from one stress to another. Boarding passes usually get sent to your phone as well. So that means less worrying about whether you’ve got it or not, just make sure there’s charge on your phone! I do usually print one out just in case as well, I like to be prepared. Equally, most bus/train services have online bookings or self service ticket machines, so you can do it in advance and it makes getting on and off so much easier. No matter what it is I always give myself plenty of time, it may mean I’m mega early but it means I have time to settle into my environment before it may get busier, and nobody wants to rush especially when your mind might not be in the calmest state as it is. Create lists of what you need, print doubles of everything in case you loose one, know what you need to get hold of easily and put it in the top of your bag, know where you’re going – be prepared! You can assure yourself you have everything and the whole process will be much easier. This is relevant to everyone, but with anxiety you need to prepare yourself for every situation, in case it’s busier or there’s any delays or cancellations. I’m very antisocial when I travel. I tend to stick some music on, but of course you can use meditation apps to listen to whilst you wait in queues or you’re on a train or plane. Equally if those apps aren’t your thing, find music which is easy and calming. I personally love a bit of classical music to just keep my mind a bit more occupied so I’m not stressing out about everything around me. Having to make changes and transfers can be very stressful, especially if there’s a quick turn around, and it’s just another added stress and more bits to worry about. So when possibly try and make your journey as one way as possible, and preferably go directly there. For me this is especially with flights, although it may be a little bit more expensive but it’s worth it for the stress free journey. If you’re travelling on the tube, although harder to avoid making changes, definitely do your research on the easiest way. If you search ‘plan my journey’ on google, you can search how to get to one stop to another. And if you’re not sure where’s best to get off a bus or train to catch the tube, this will help. Hopefully these little tips help. They may be obvious to some but as I said, anxiety comes in different shapes and sizes and I know taking in these tips in doses helped me. So hopefully it helps others too! I couldn’t agree more about being prepared!!! I’ll usually pack extra for an unpredicted “just incase” situation, and it somehow makes me feel as ease. Great tips!